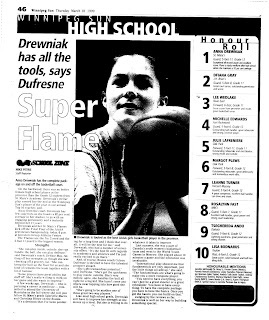 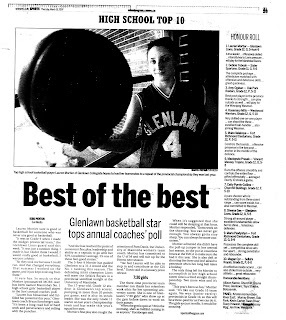 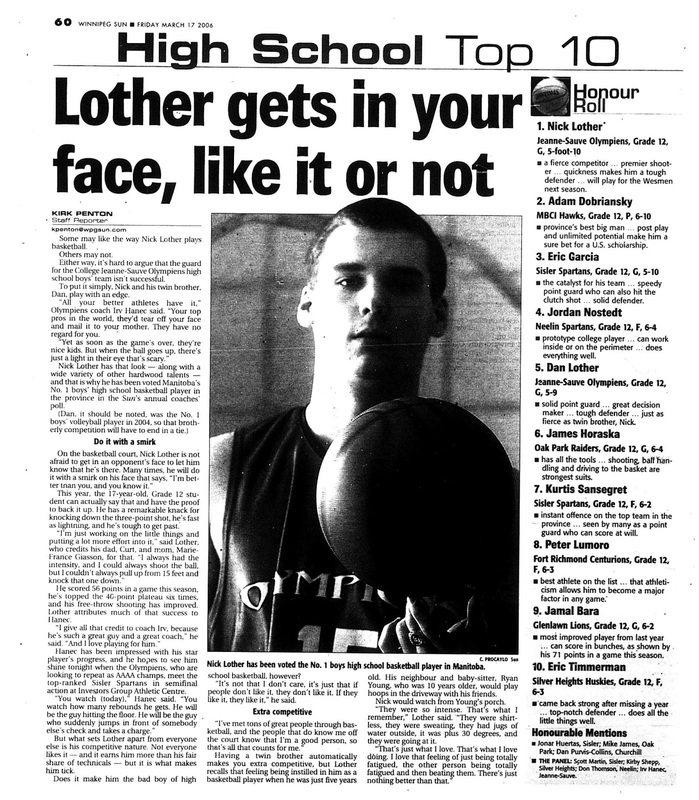 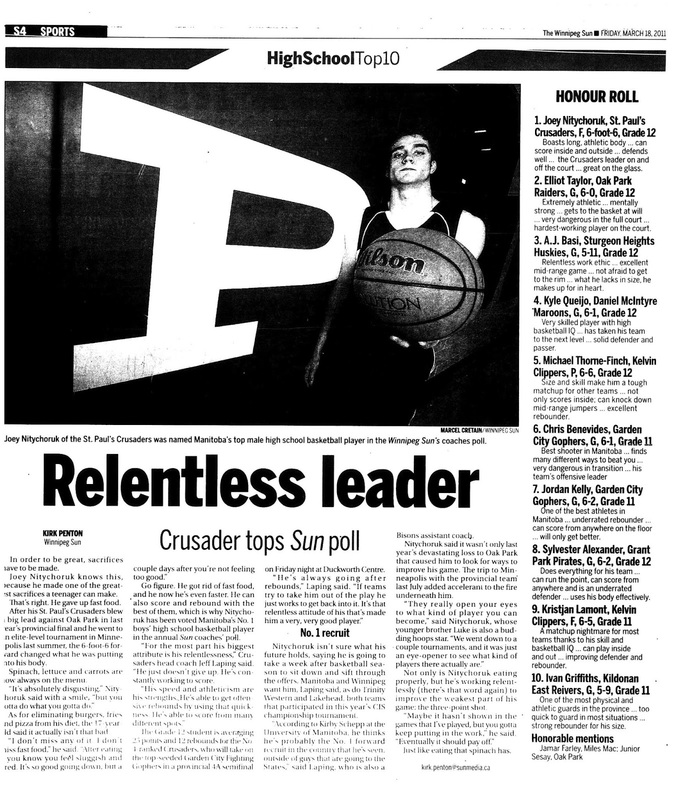 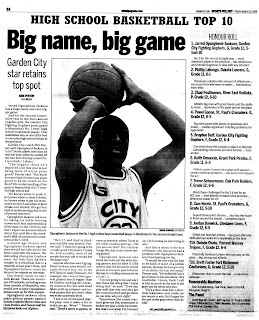 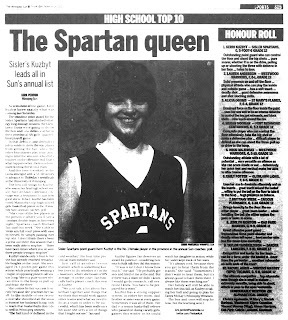 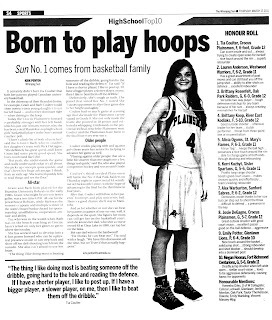 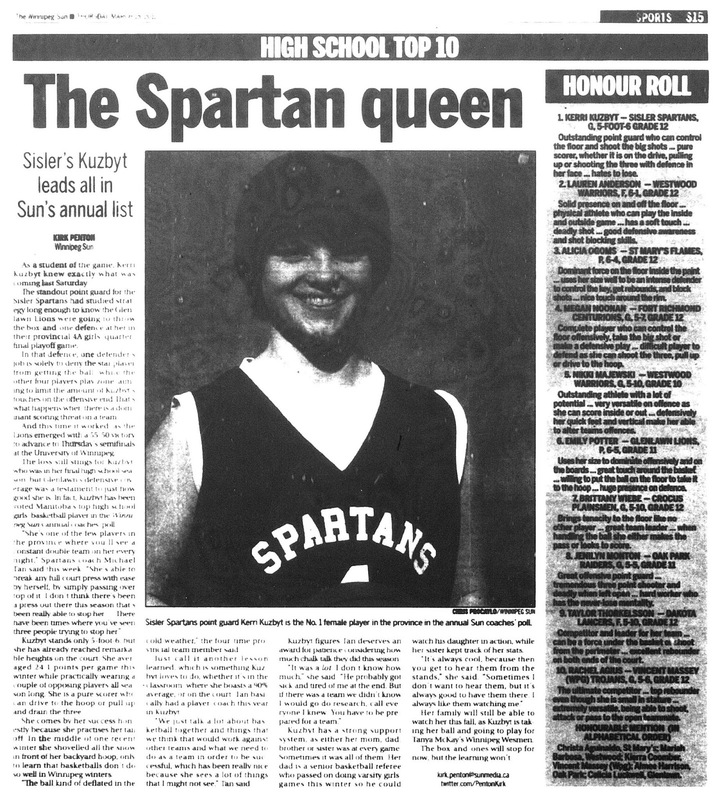 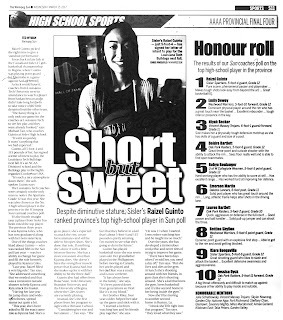 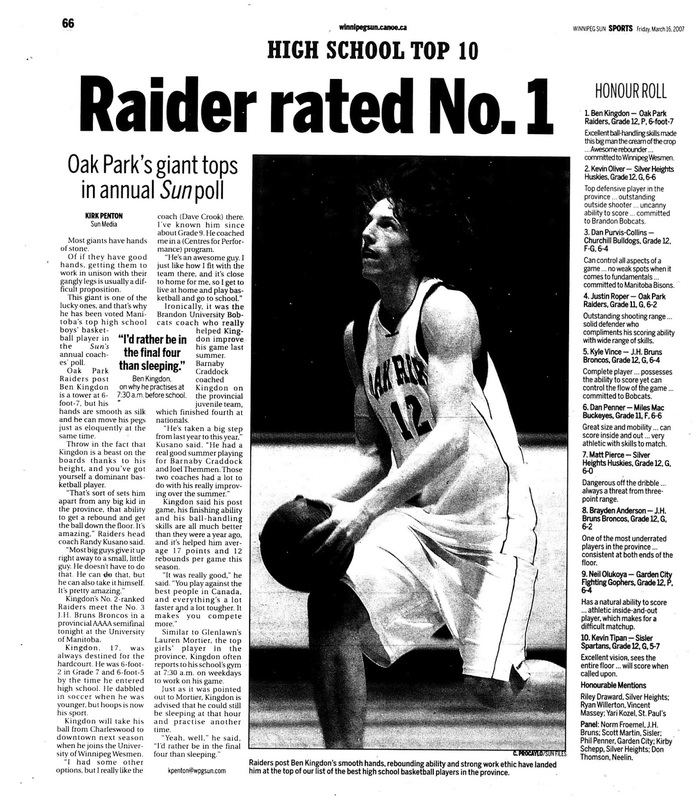 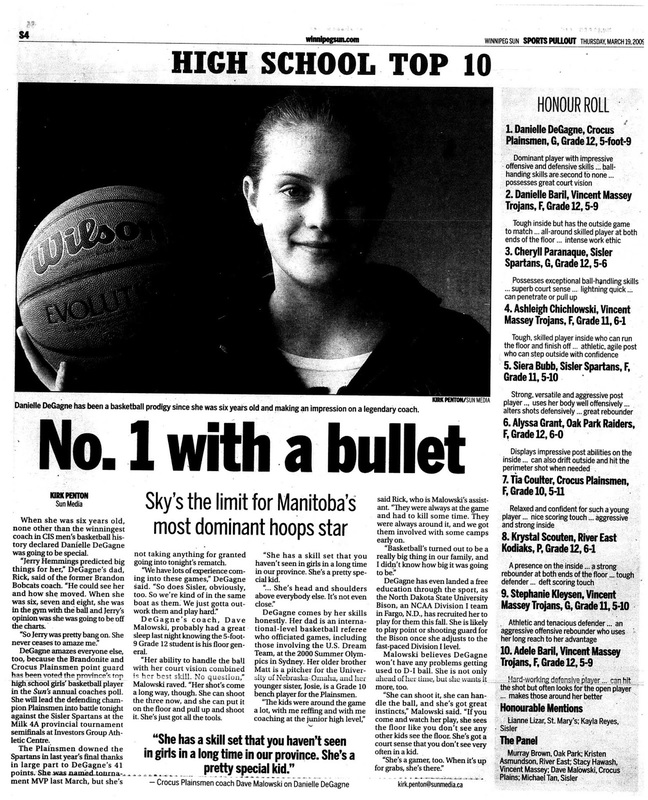 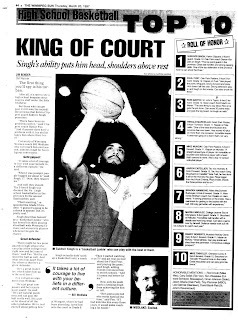 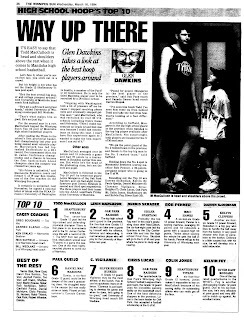 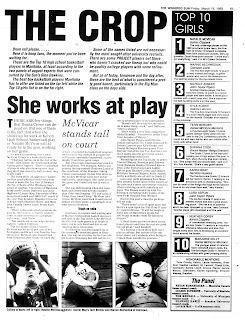 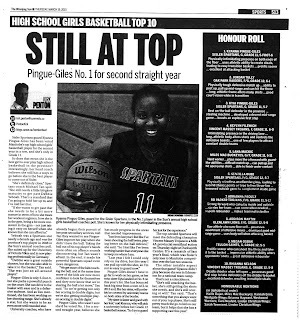 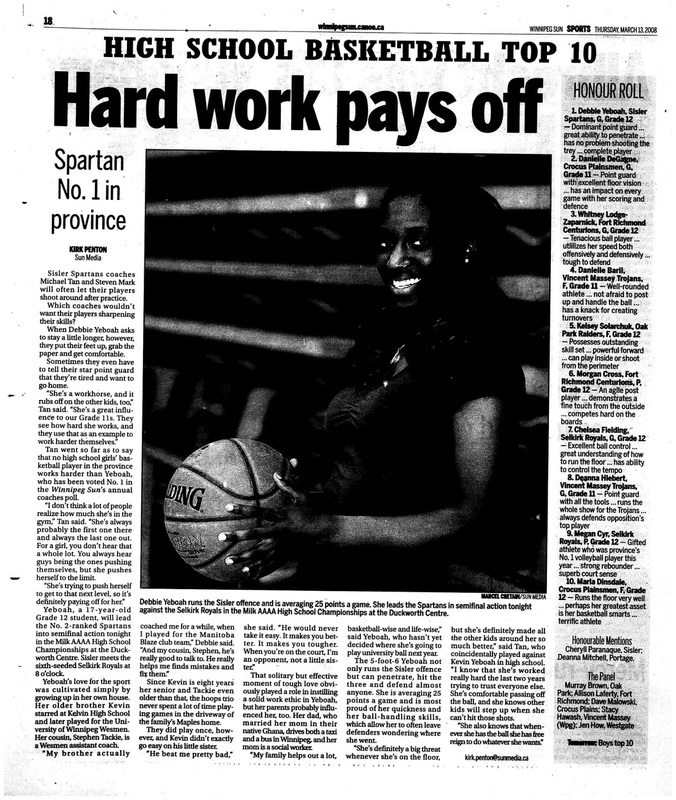 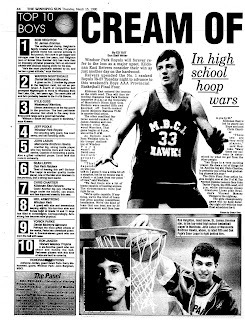 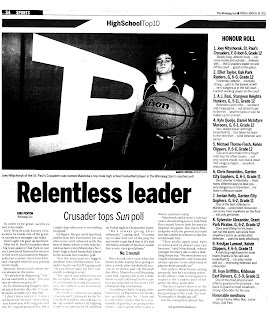 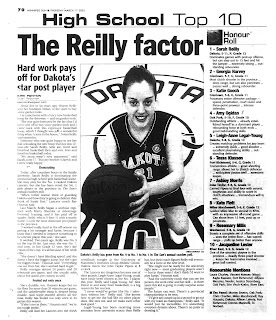 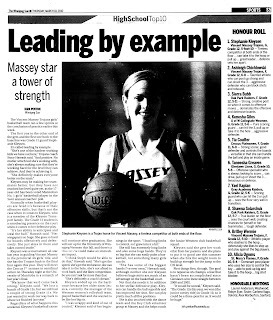 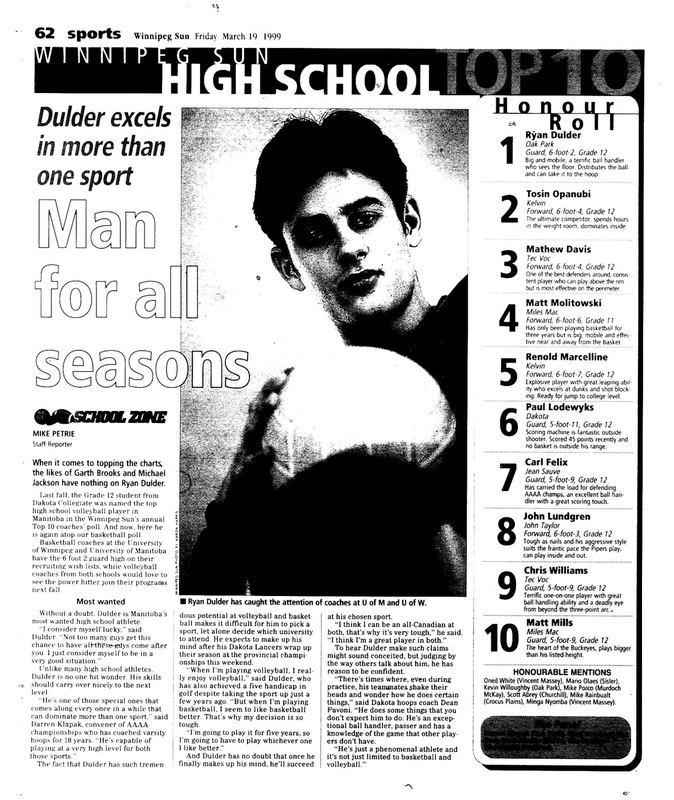 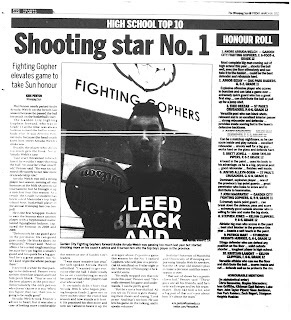 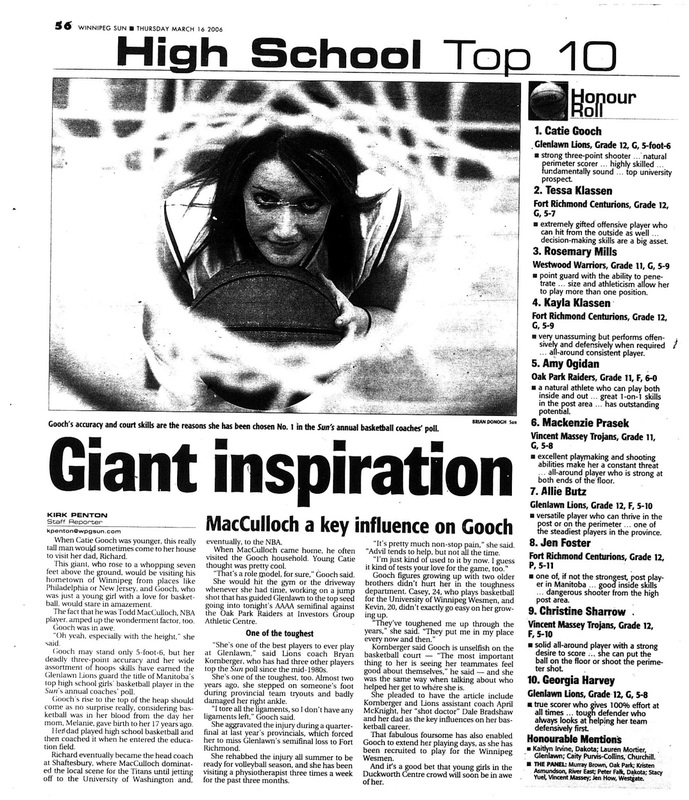 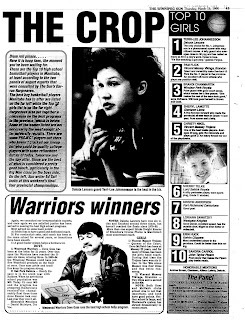 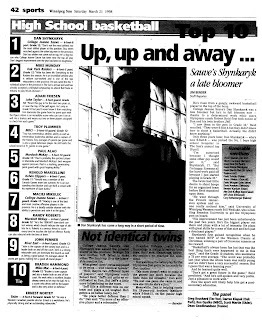 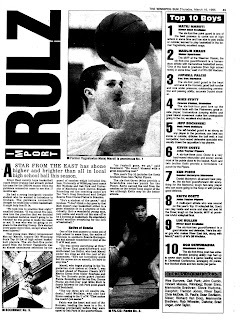 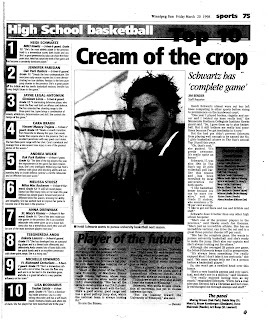 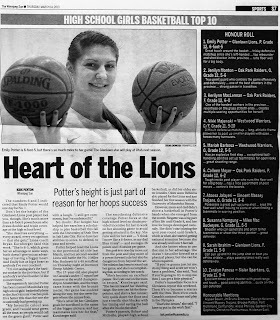 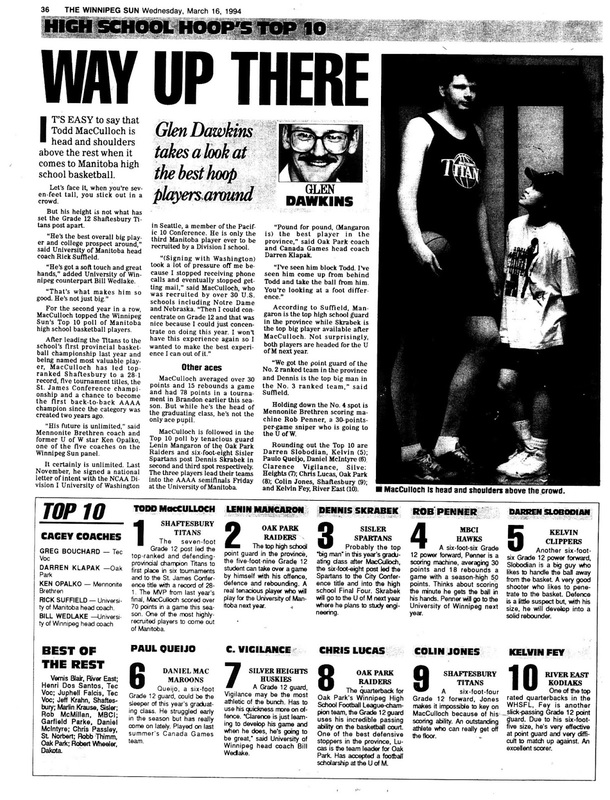 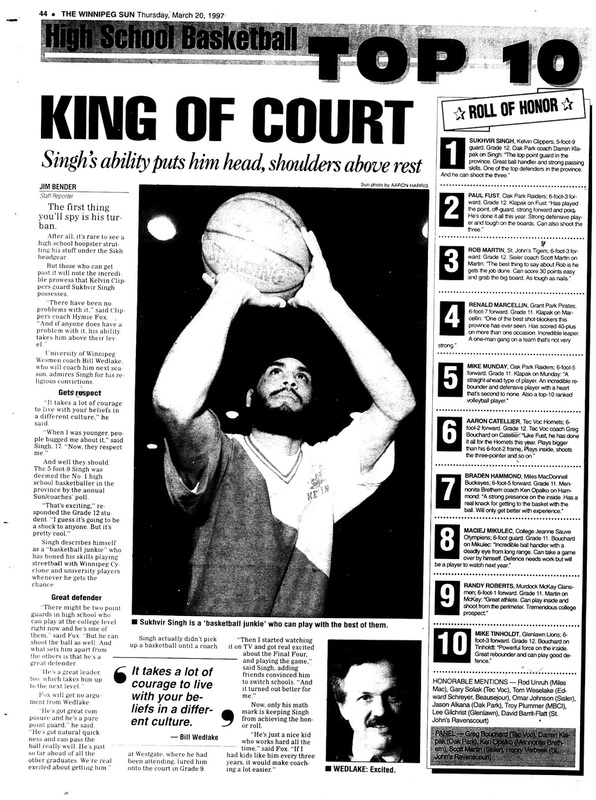 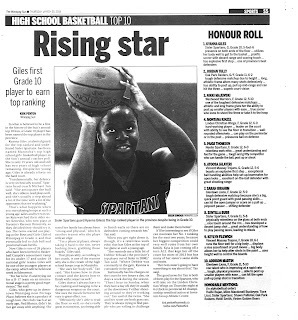 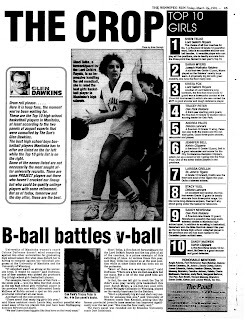 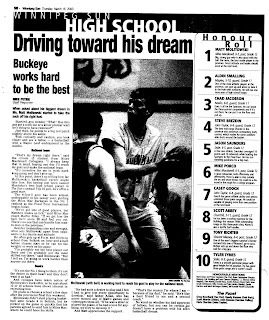 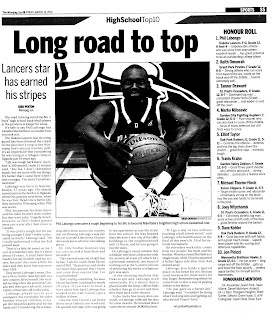 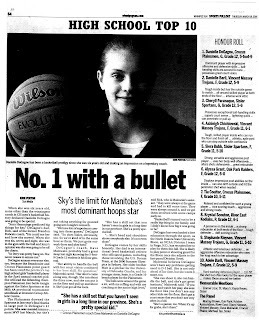 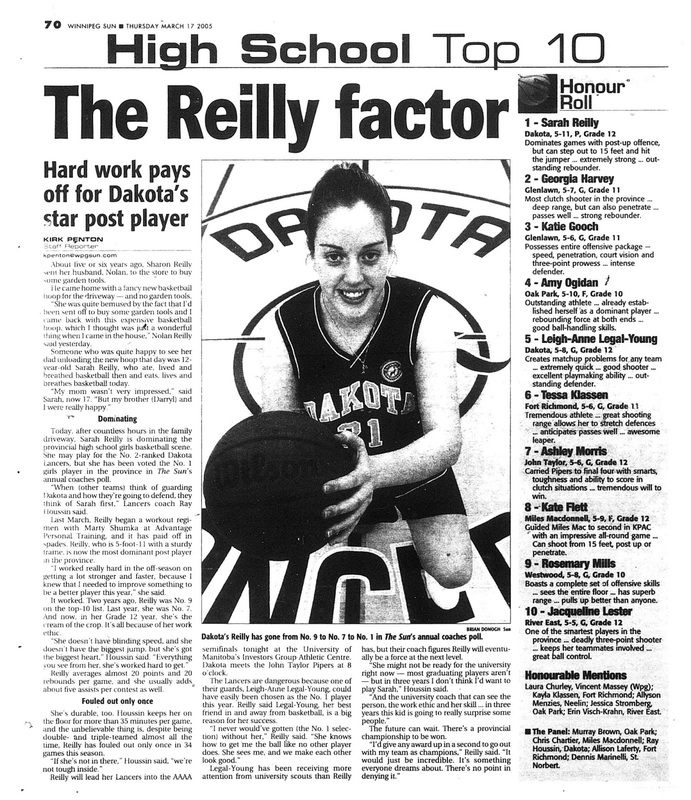 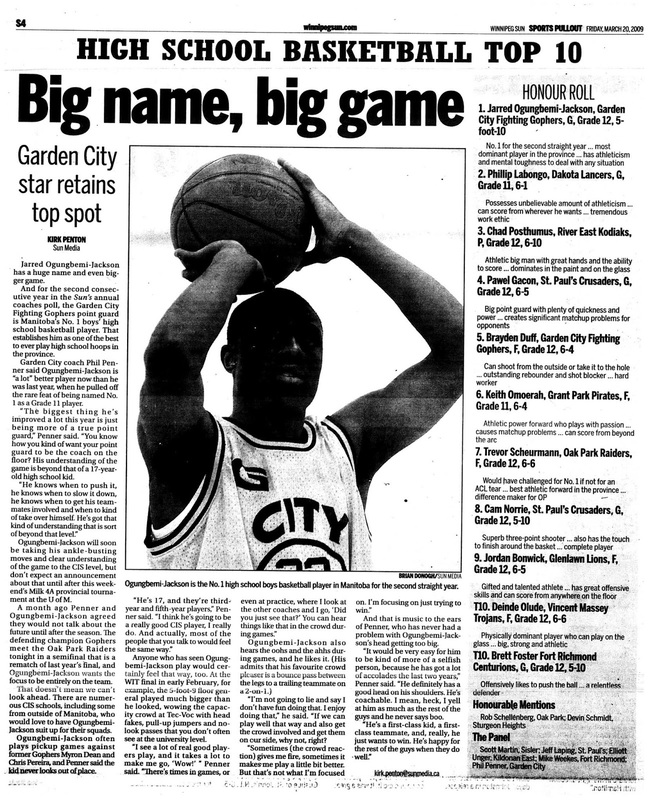 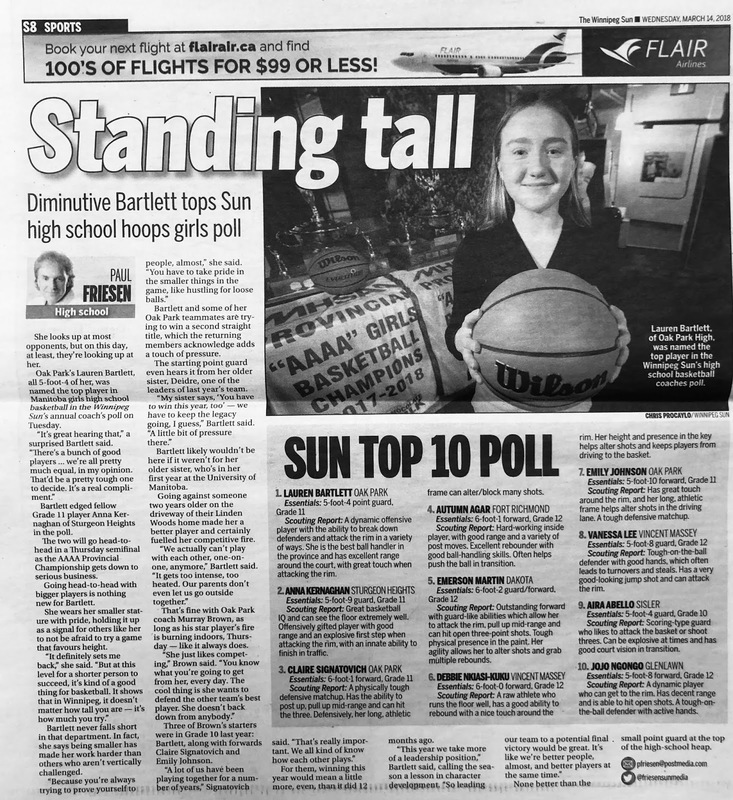 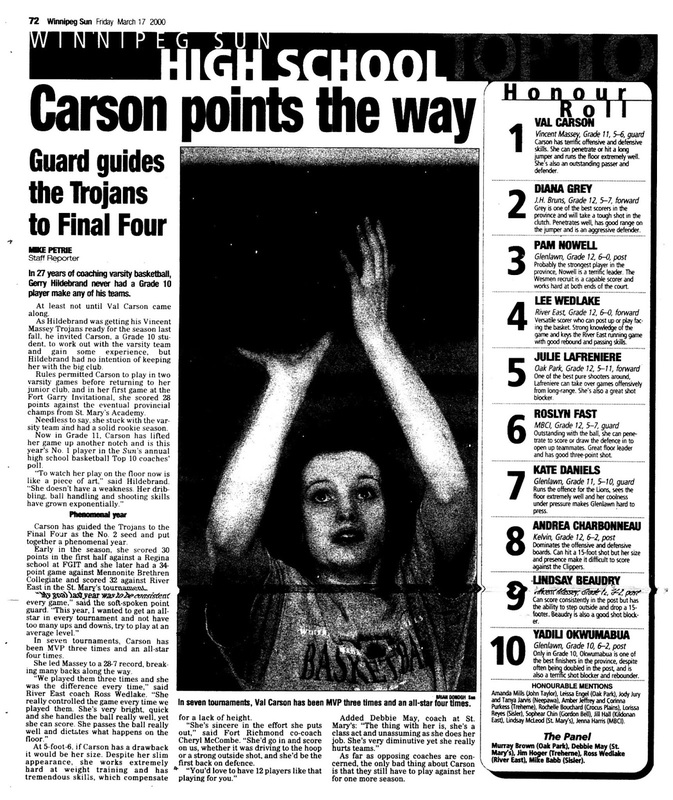 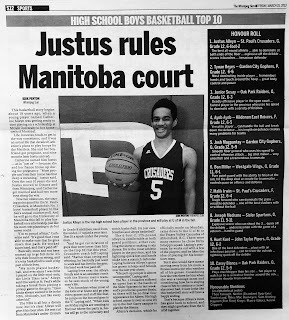 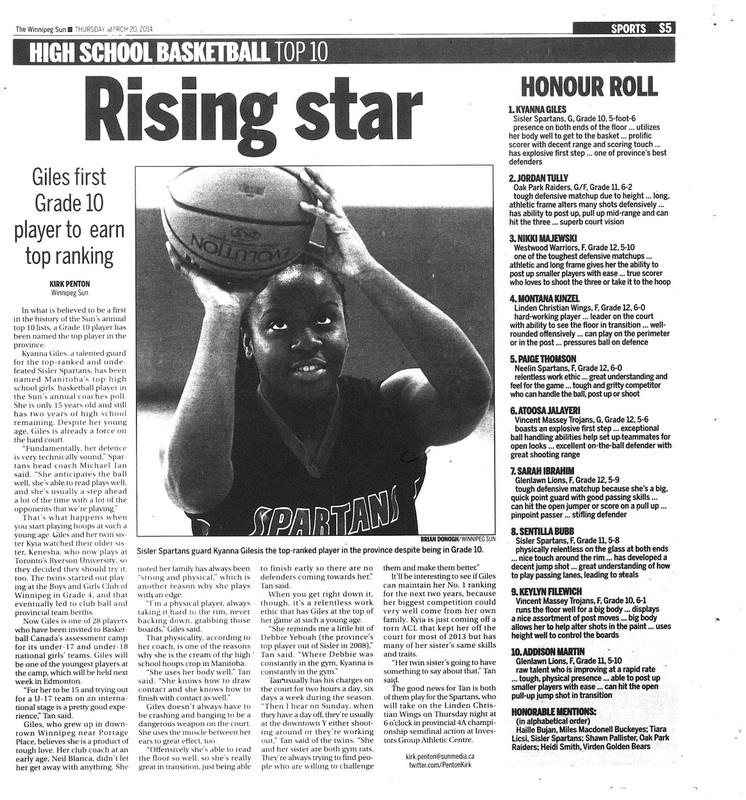 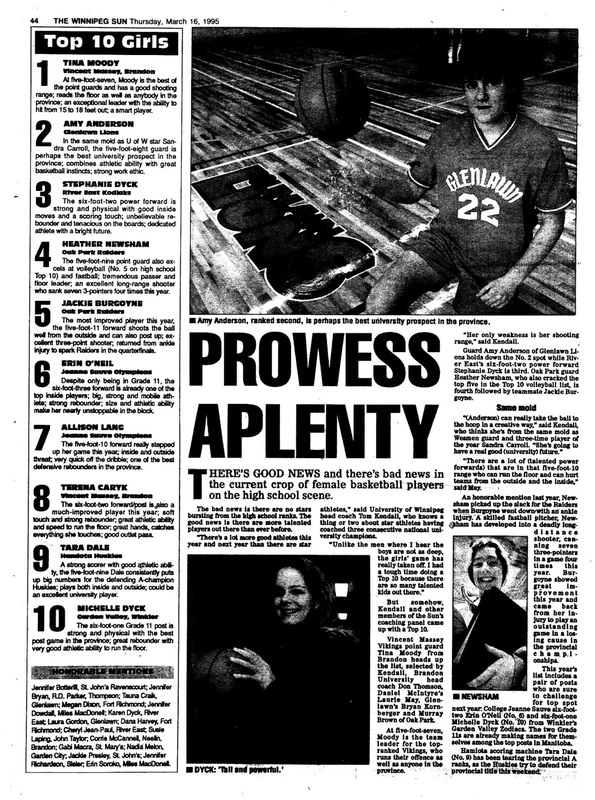 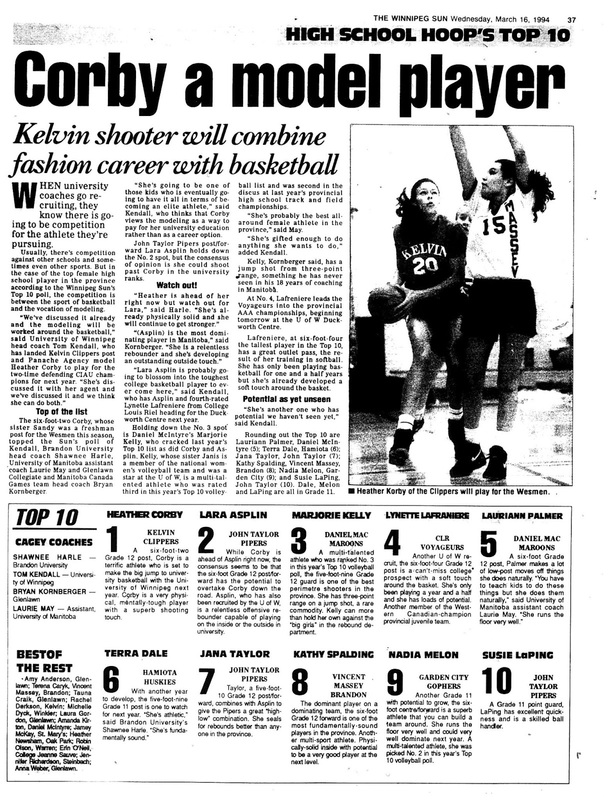 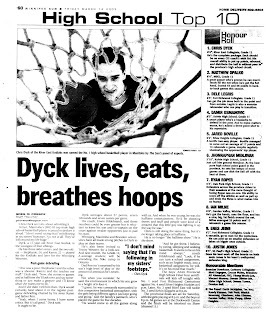 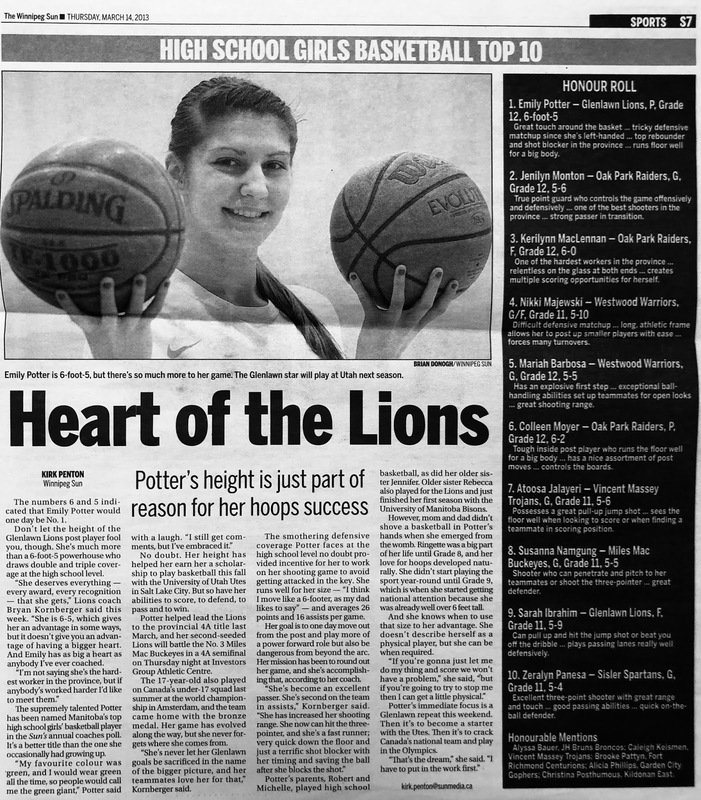 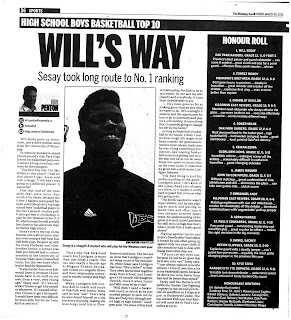 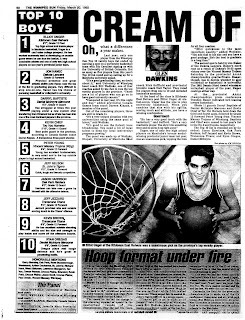 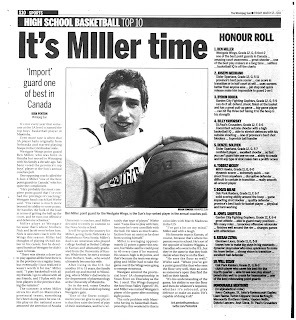 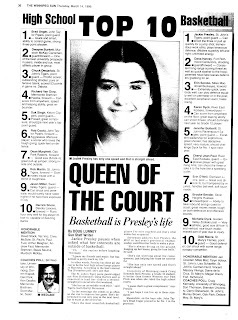 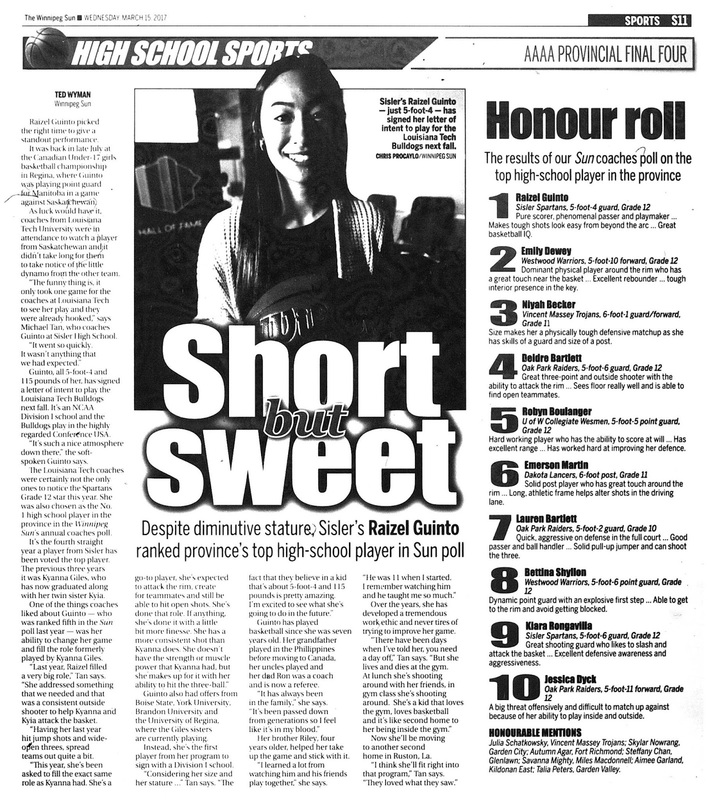 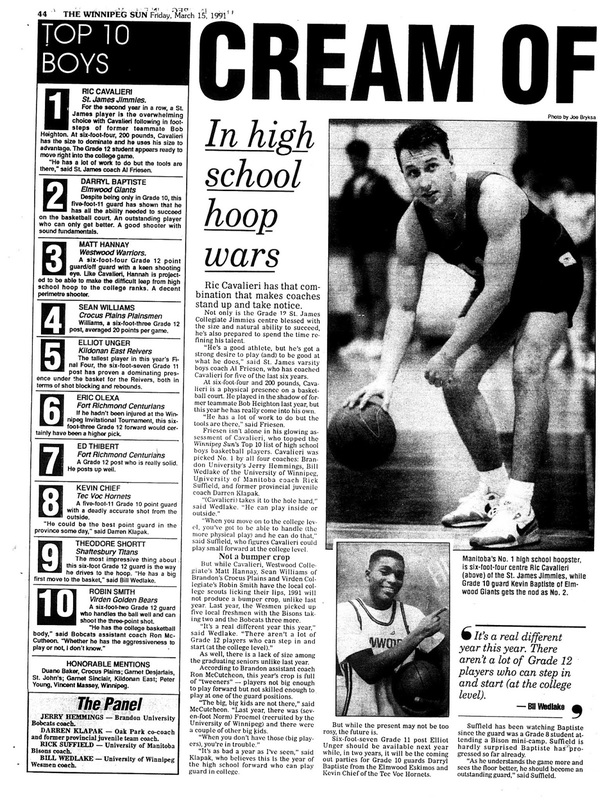 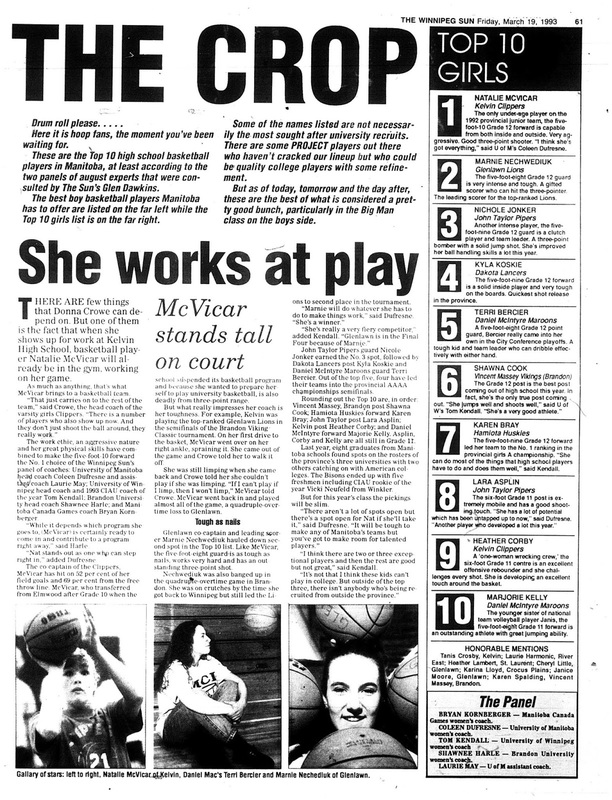 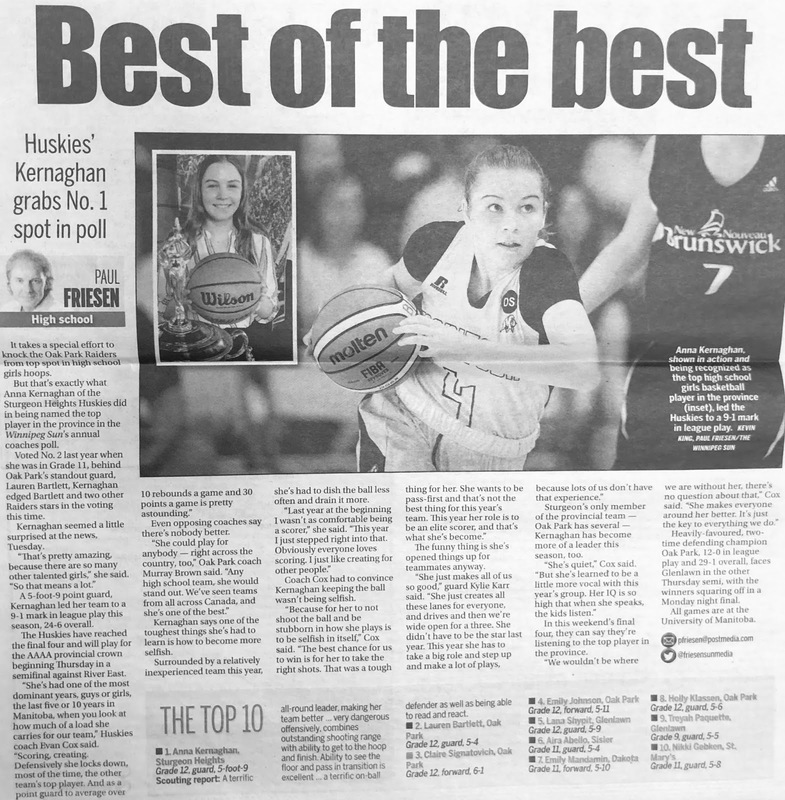 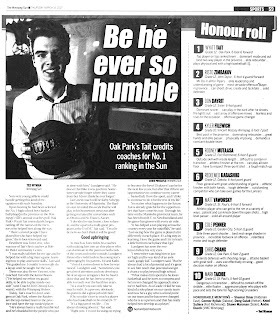 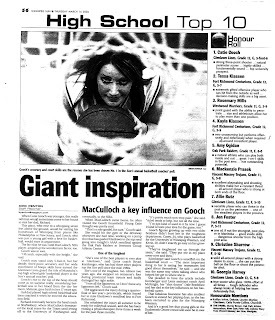 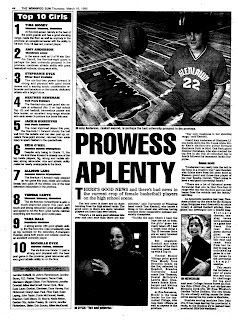 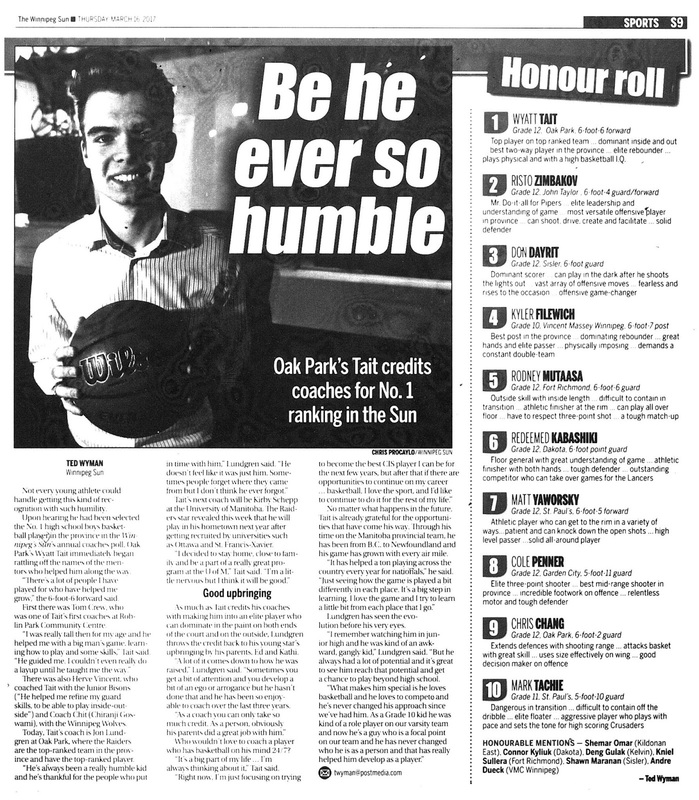 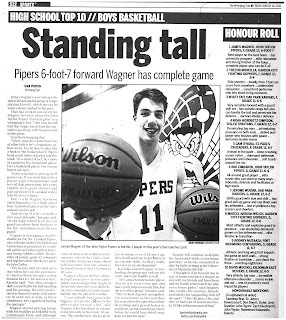 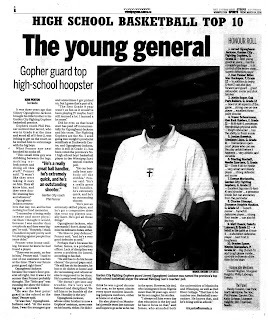 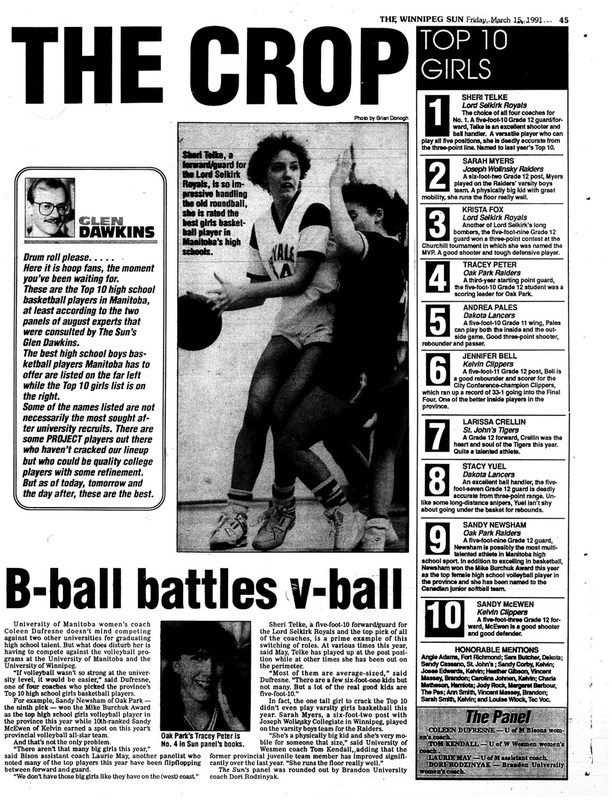 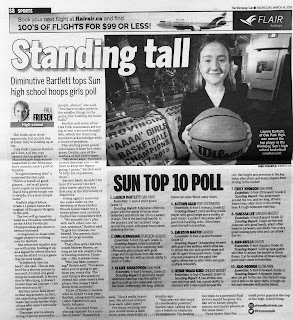 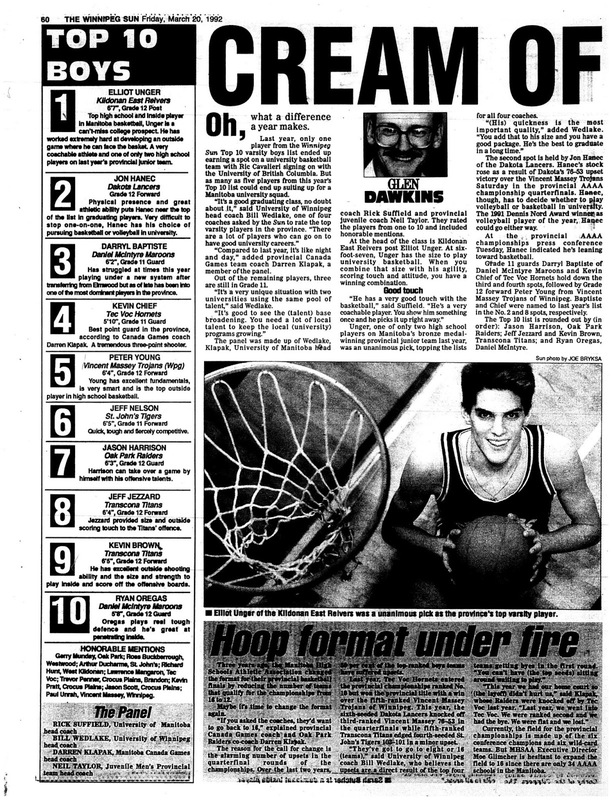 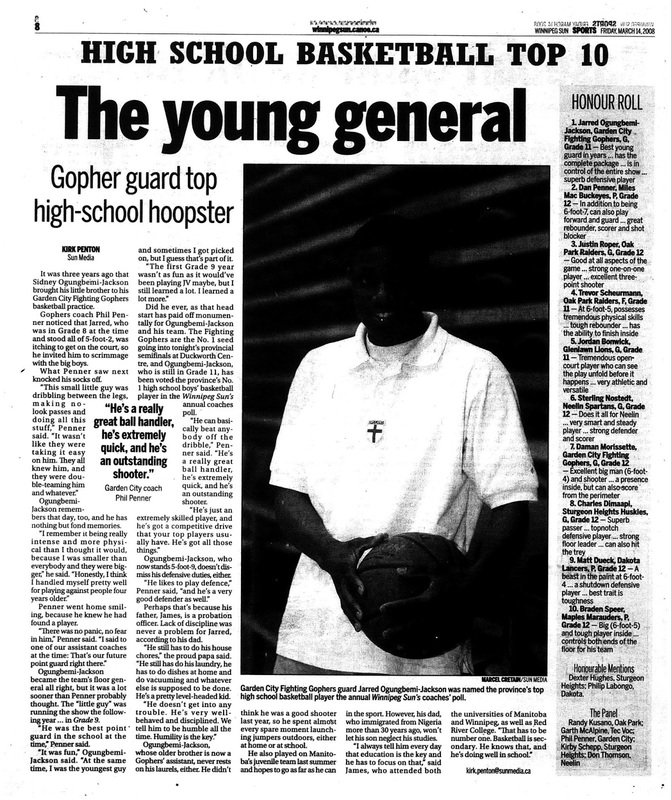 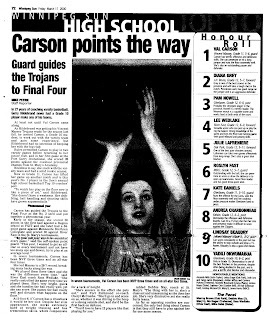 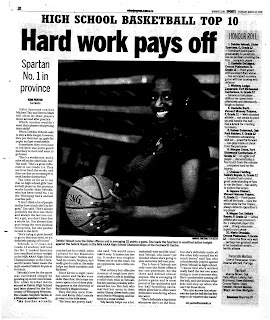 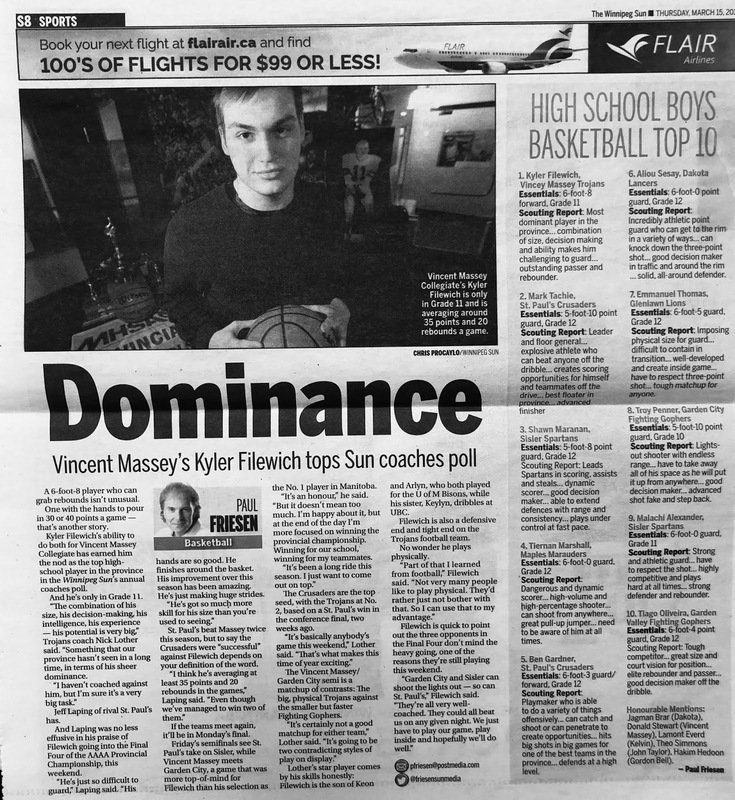 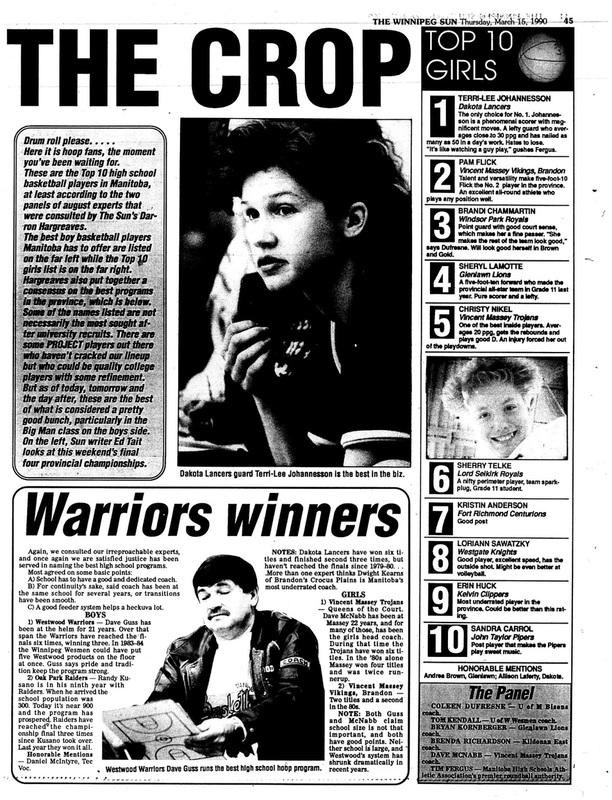 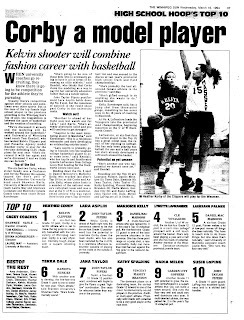 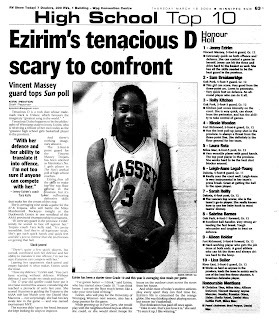 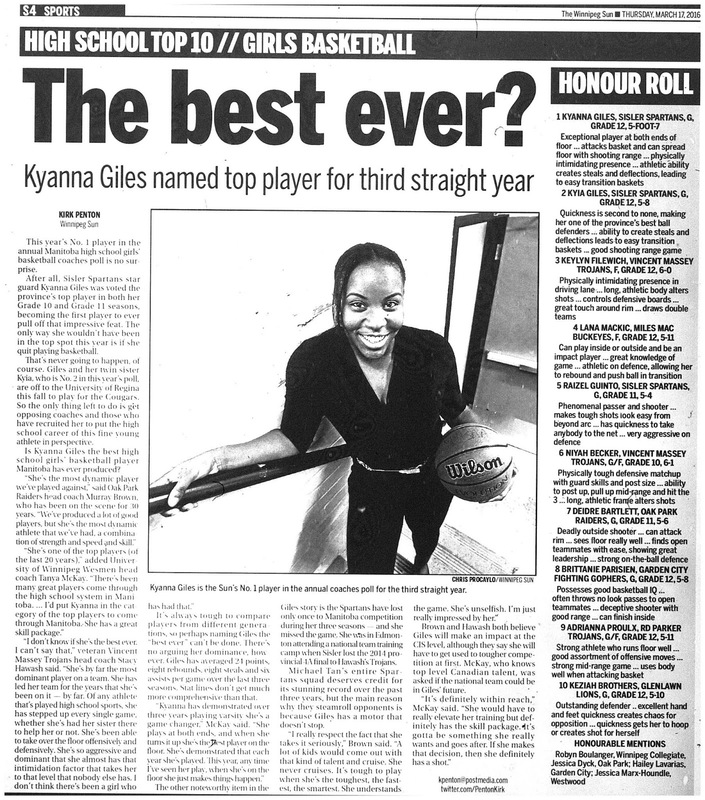 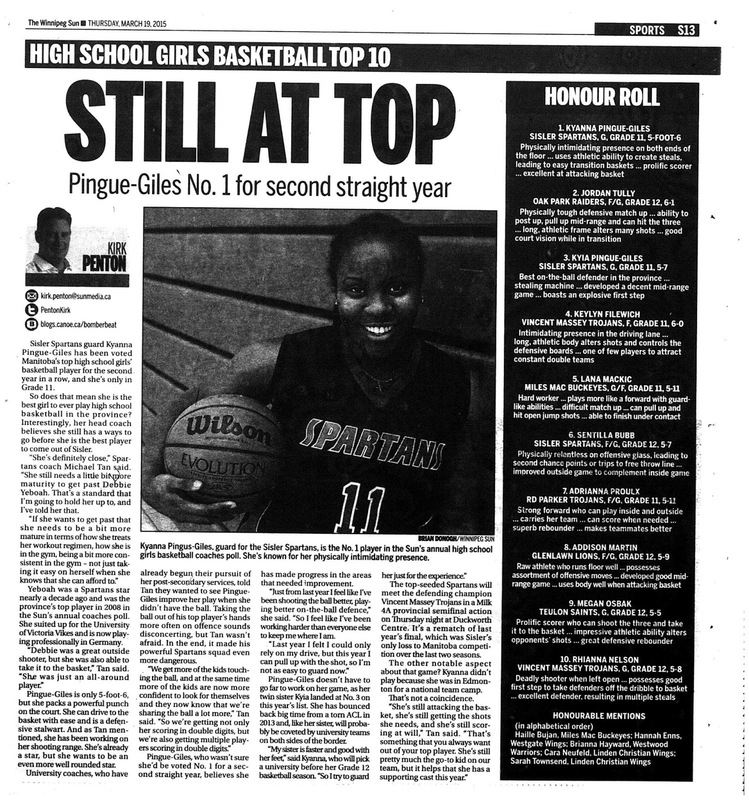 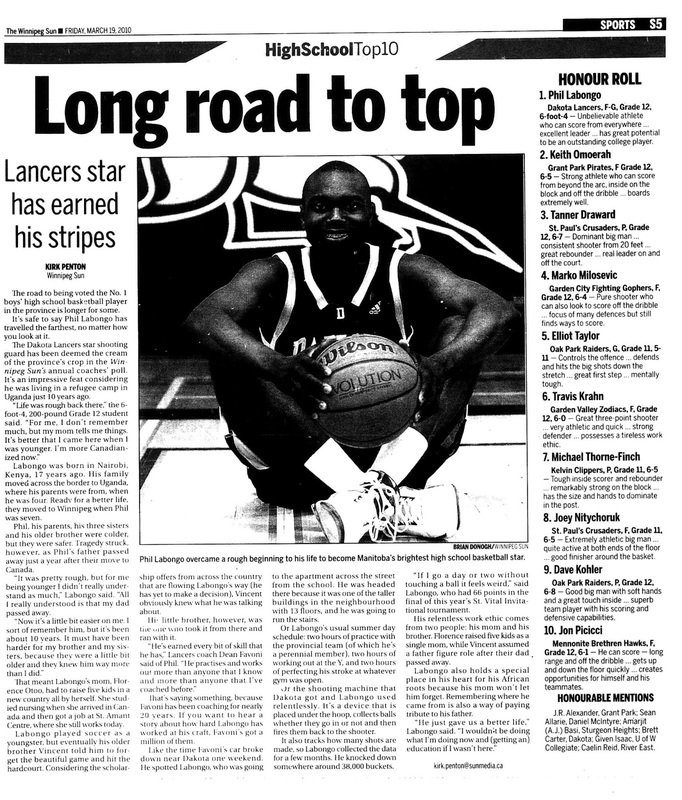 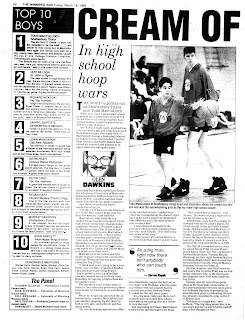 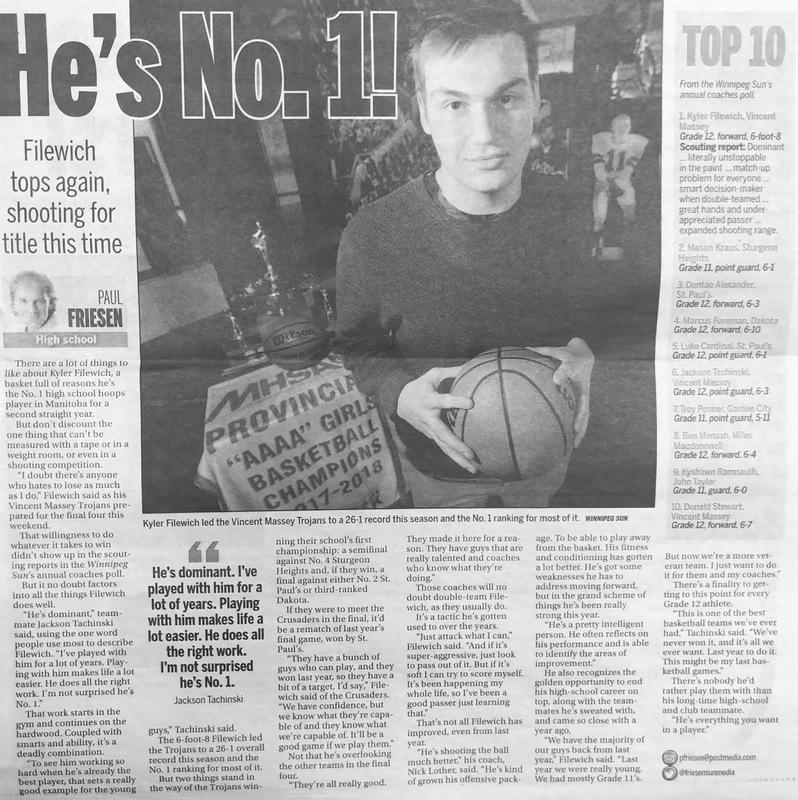 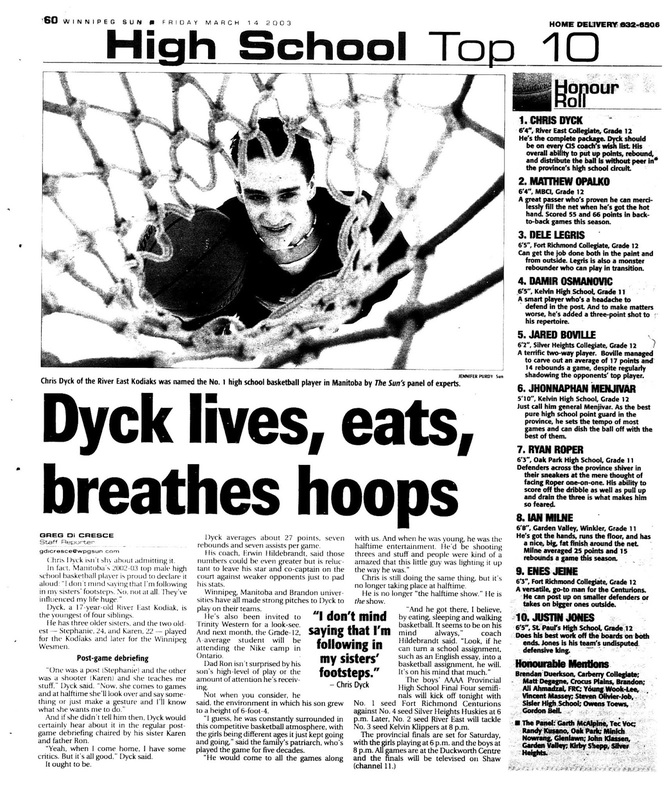 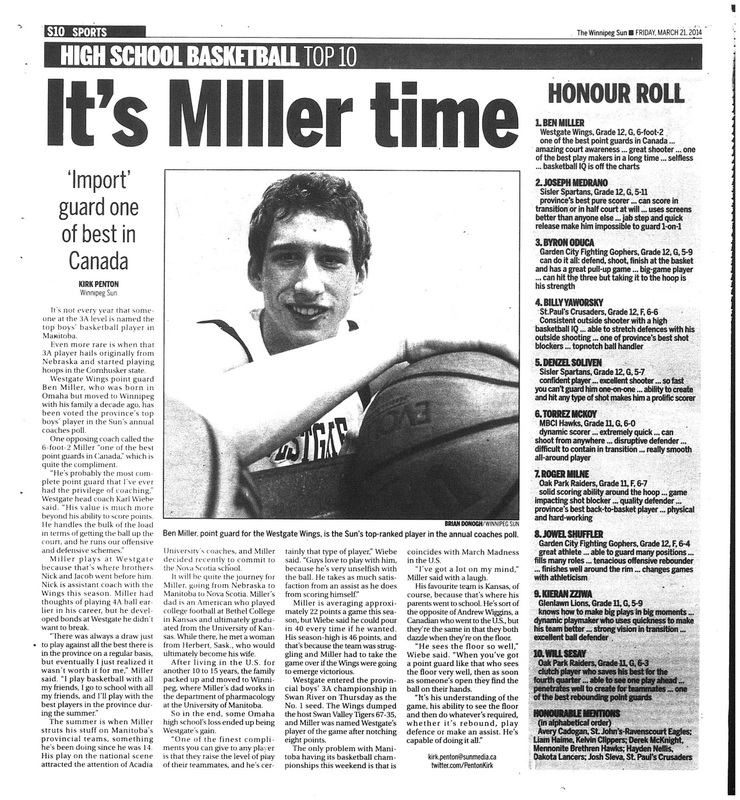 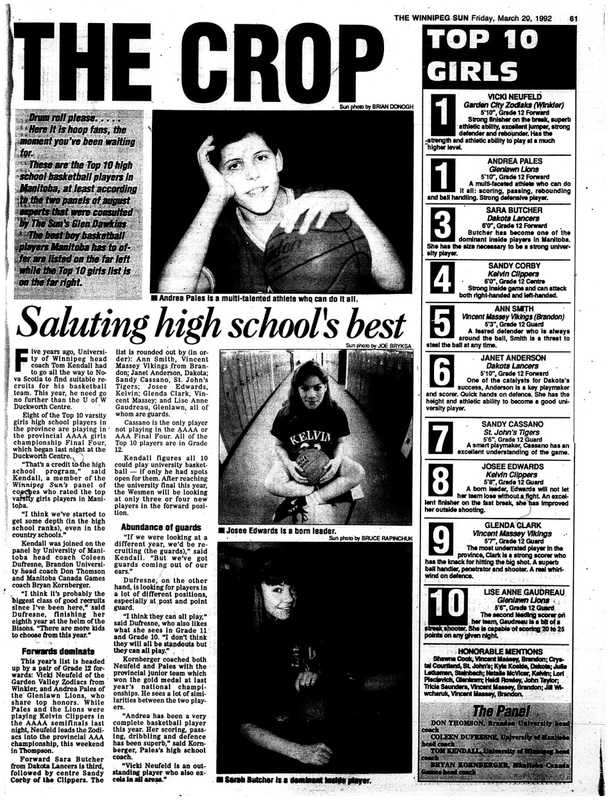 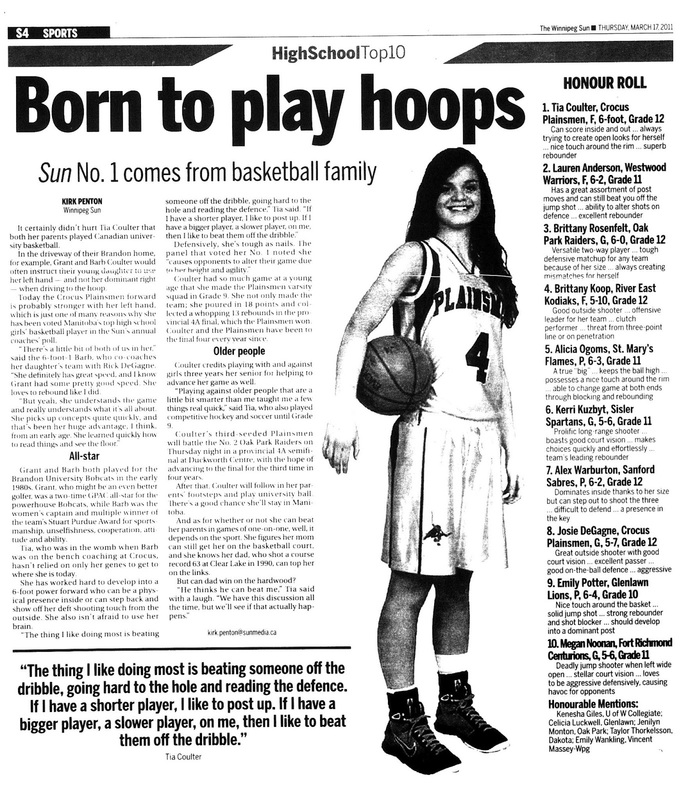 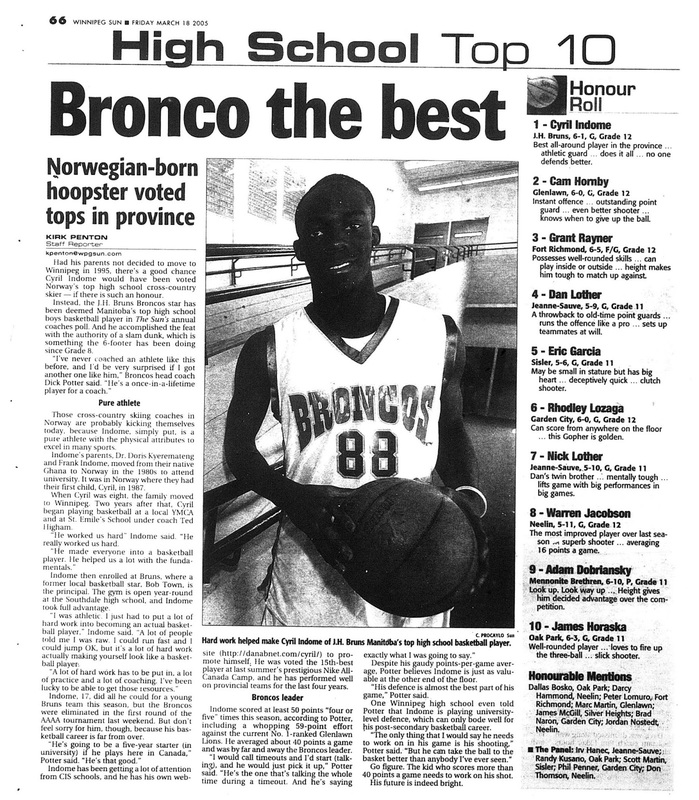 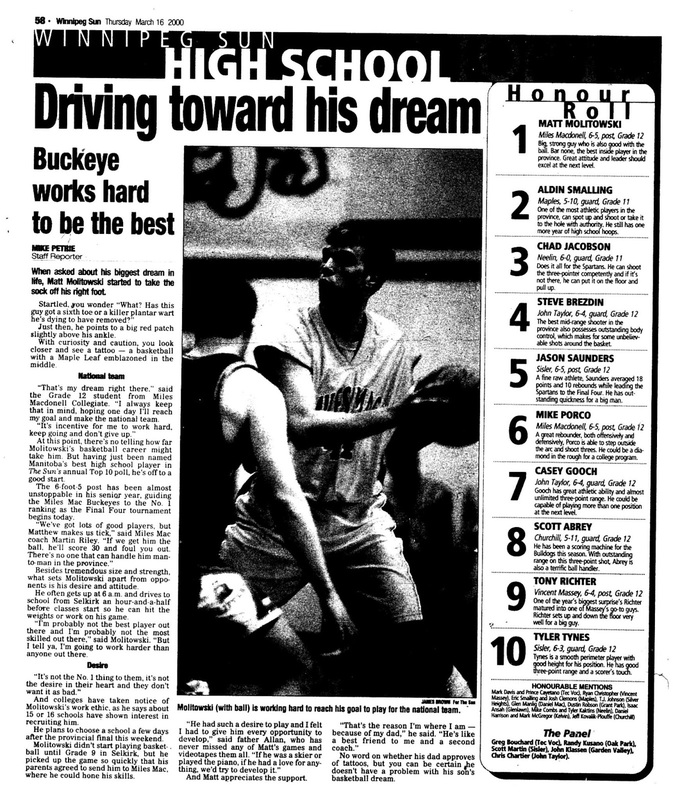 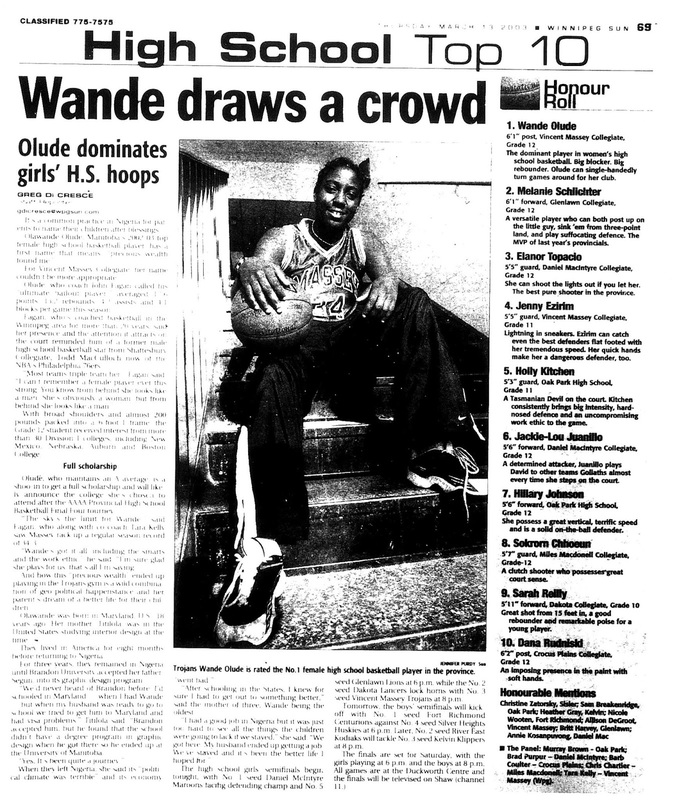 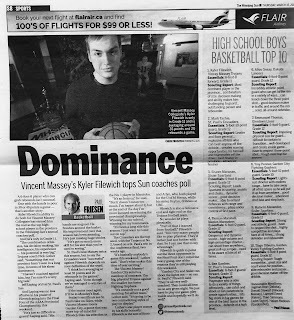 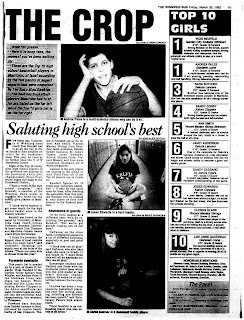 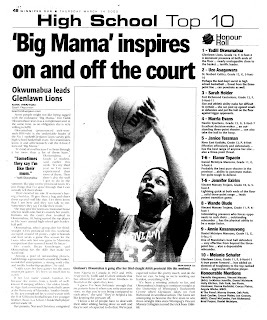 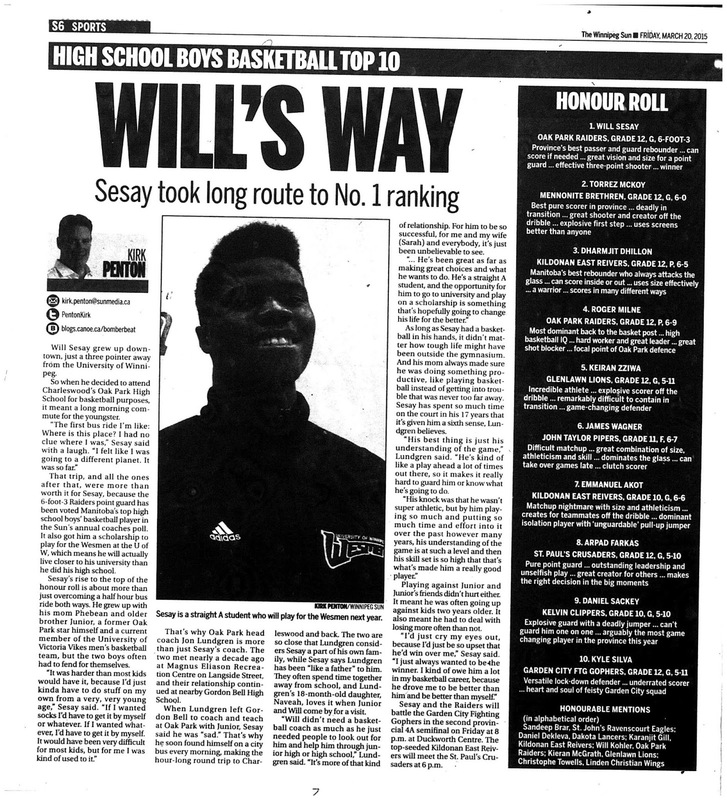 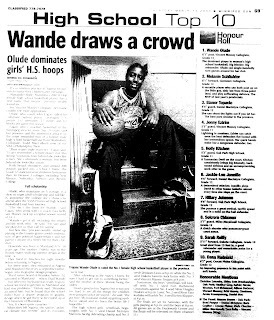 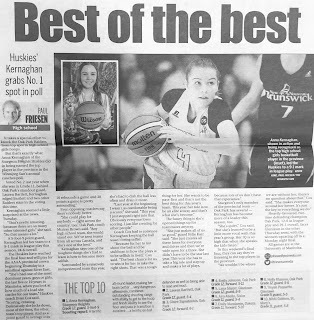 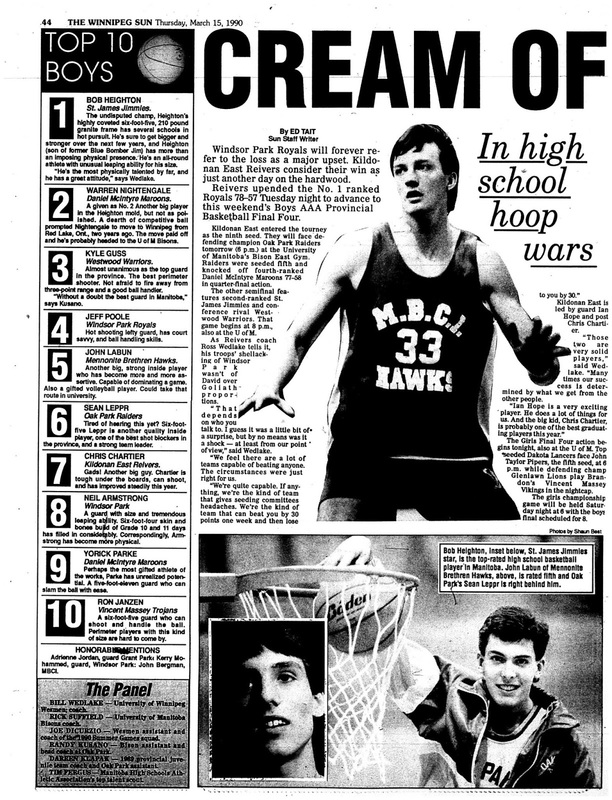 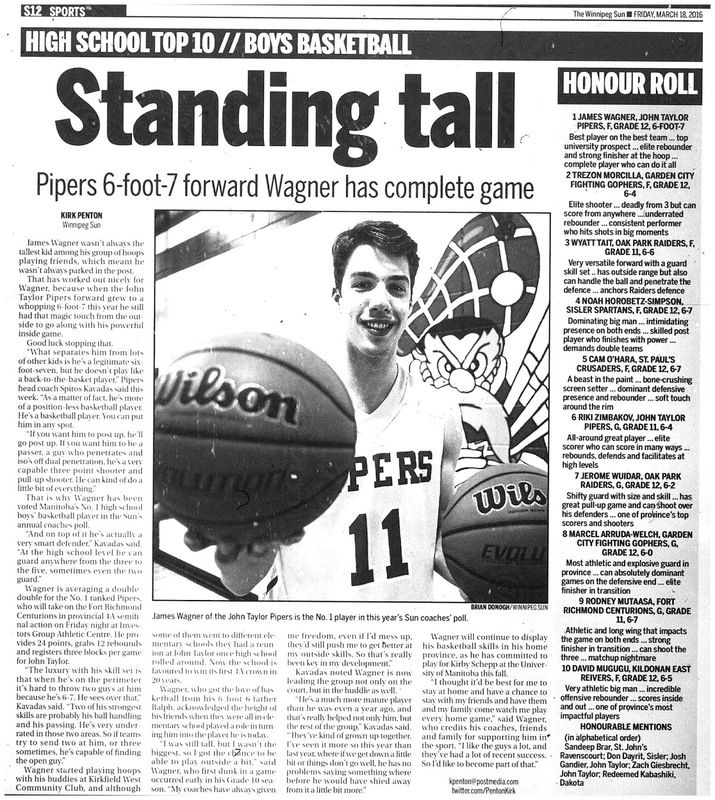 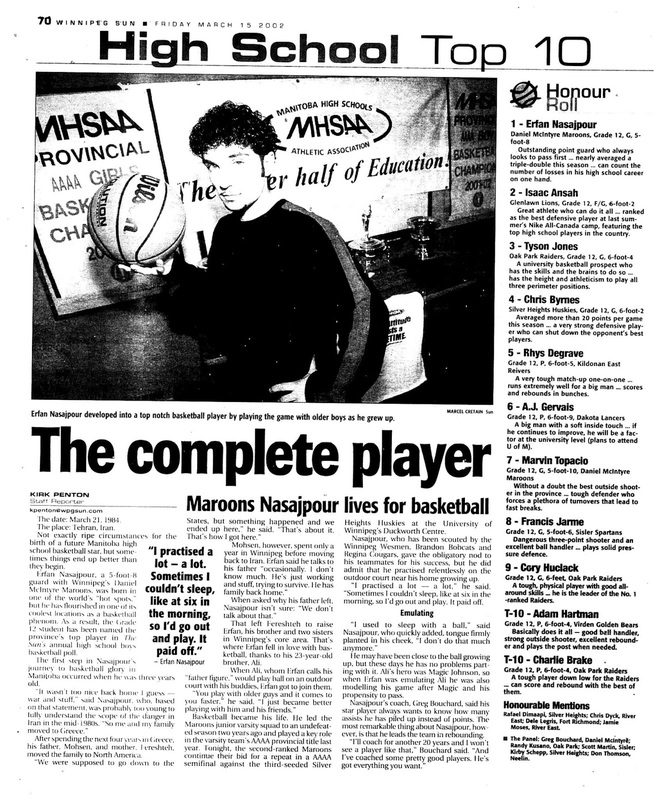 The following is a collection of the Winnipeg Sun Top 10 high school basketball player articles that have been published since 1990. 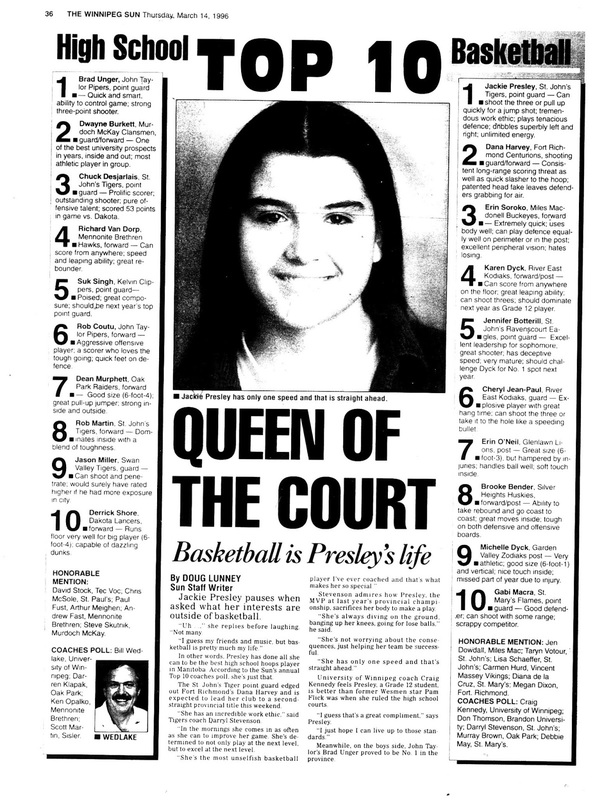 The articles are listed oldest to newest. 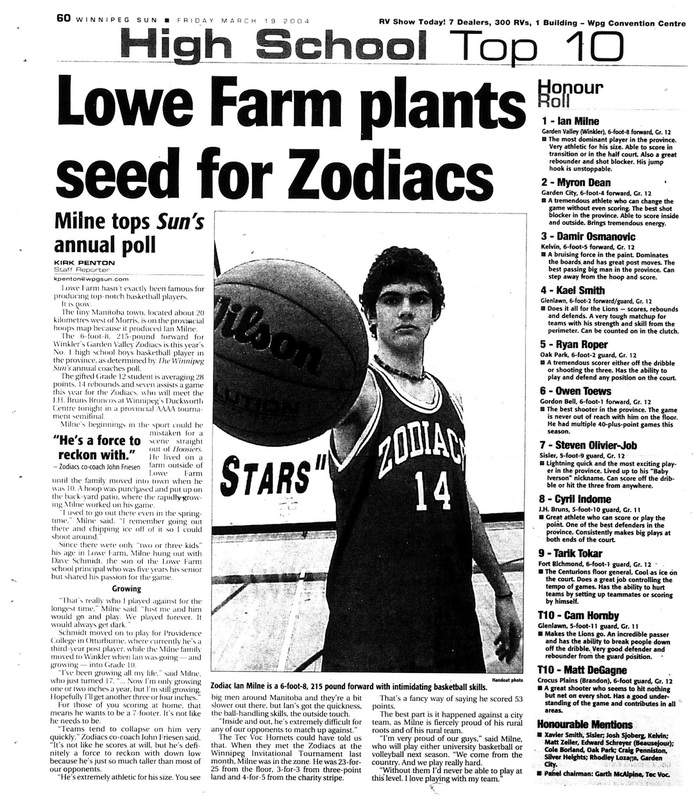 Click on a below image to zoom in on it. 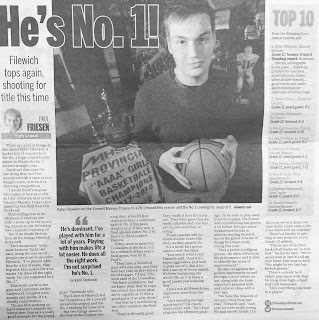 To save an image, right-click it and select 'save'. 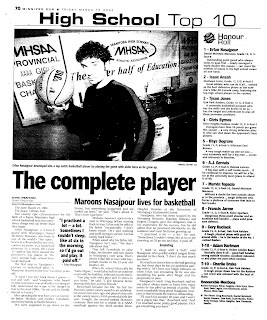 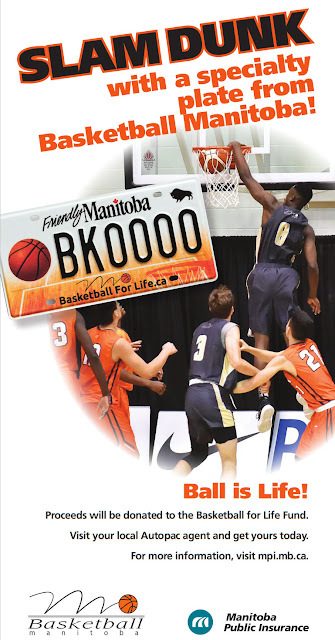 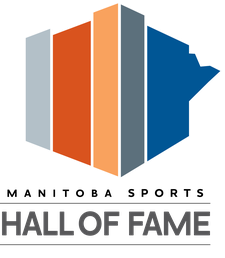 If you are in possession of information we are missing or have a better quality copy of it, please email a scanned copy of it to mbhof@basketballmanitoba.ca.